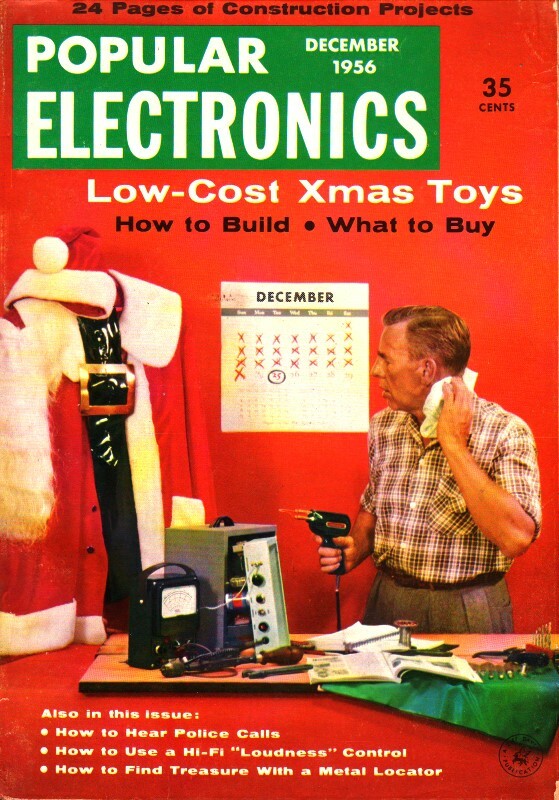 McWatts was an electronics-themed comic that appeared in Popular Electronics back in the 1950s. Artist Carl Kohler's main character is a stereotypical Joe Sixpack (actually a Joe McWatts)electronics hobbyist who dreams up unique ways to deal with situations. This edition shows McWatts in a scenario where, presciently enough, he experiences having his radio controlled airplane treated to what modern day 'drone' pilots are experiencing on a more and more frequent basis - being shot down. In this case the hostile fire came from some kids with slingshots. Fast-forward to 2015 and we are now seeing reports of people using shotguns and rifles to down the privacy-invading craft being piloted by unqualified pranksters. Back in the McWatts era, getting 'shot down' was much more likely to occur when non-protected frequency usage (27 MHz band) caused death-inducing interference that resulted in loss of control. Nearly all modern systems use bullet-proof spread spectrum modulation in the 2.4 GHz ISM band.